Have a sports fan in your life that also likes to read? There are all kinds of books out there on sports and famous sports players. Our family has read many of them. Our favorites are always the inspirational stories. The stories of people that have grit and courage. The ones that overcome the odds to become who they are and what they did. Because we love inspirational sports stories we put together a list of our favorite nonfiction sports stories. Some of these are about an individual and others are about a team, but they are tell a story of overcoming the odds and accomplishing something great. Cinderella Man was such an amazing story that was well written. I think it will make one of Grace’s top books from 2018 because she had so much trouble putting it down once she started it. This is a true comeback story that encourages people to try. The book though also integrates boxing history and how bowing and its rules work. I learned so much and was also able to understand more of how people felt during the Depression and how so much of society loved boxing years ago. Dust Bowl Girls will be one of my favorite books of 2018. One of the reasons that I love reading nonfiction is that I often learn about little known facts in history. This book is an example of that. I have lived in Oklahoma for 24 years, yet I knew nothing about this story of an Oklahoma women’s basketball team during the Dust Bowl. Blind Side is Michael Oher’s amazing story and the family that helped him. I could hardly put this book down when I was reading it, and I was a little sad when I finished it. I feel that this book is well worth reading because of the story that is told. 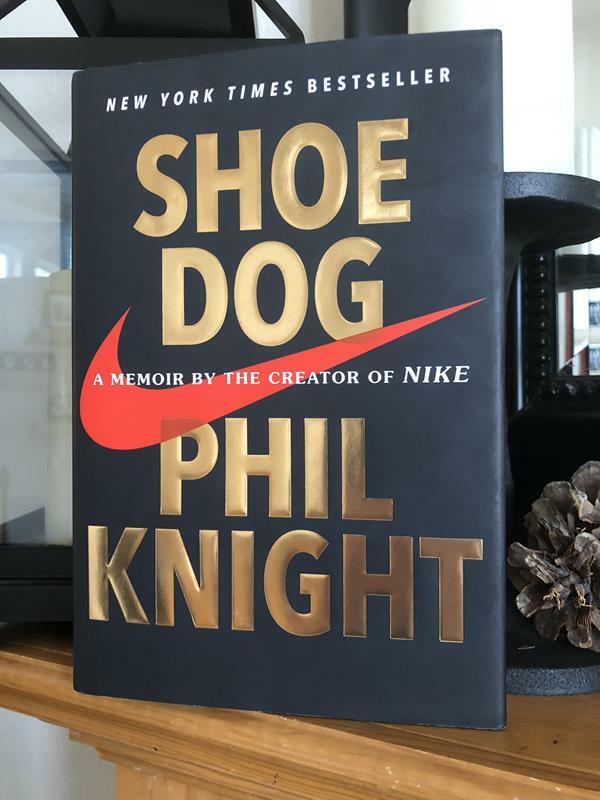 Shoedog is the story of Nike. Nike is a popular shoe and sports company now, but it started with just an idea. I found this book to be very interesting. A great read for Nike fans or people that love business type books. 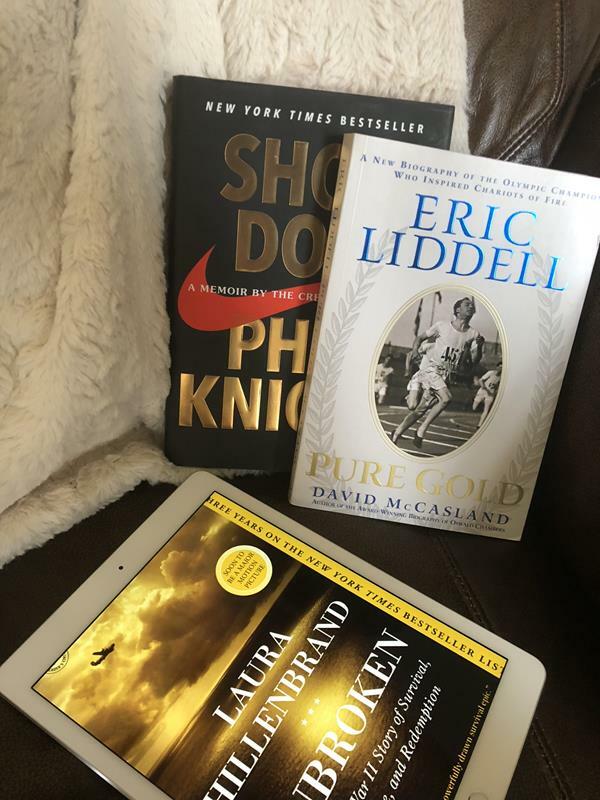 I know that there are a lot of books out there about Eric Liddell, but to me Pure Gold one was a very well written one. I learned a lot about Eric Liddell and was encouraged by his story of faith and running. It was a book about running and missionary work, so I felt like this was a good biography in that it was able to cover a wide variety of Eric Liddell’s life. I enjoy autobiographies better than biographies, so I enjoyed reading Louis Zamperini’s perspective on his life in the book Devil At My Heels. He become a great runner and is known for that, but his World War II story is definitely amazing and worth reading about. This is another book about Louis Zamperini. I have read a lot of WWII books and I think this is my favorite. In fact, if I had to make a list of my 10 favorite books of all time this would make the list. This book was a powerful story of survival, strength, and forgiveness. The story of Louis Zamperini is an amazing story, but what I really loved about this book is the powerful writing. Running the Race is another book about Eric Liddell. Eric Liddell is a well known name in the sports world, especially the running world. The movie Chariots of Fire was based on his life. The Boys in the Boat focuses on how Joe Rantz and other boys overcame the great Depression and rowed their boat to victory. This book spends a good section talking about Joe Rantz childhood and how he grew up during hard times on the West coast. It is an inspirational story and one of my favorite books.